One of the many advantages that comes with making a living from running a blog is how you can travel the world while doing so. At the same time, there’s no denying that starting a new blog or maintaining an already successful one can be difficult and stressful, and when you’re traveling from country to country and city to city, your time is obviously more limited in contrast to if you were to simply remain in the same location. With over two million new blog posts published each and every day, the competition is fierce and it’s going to take a lot of work to stand out. Fortunately, there are a number of strategies that I use in my life and that you can easily use as well. Hopefully, you do this already, but if you don’t, you should have an entire list of potential future blog topics. This way, if you’re at a loss for inspiration on what to write about at the current time, you can just pick one from this list. What this means is you make it a rule that you will publish a new blog post at a specified time each week, even if it’s only one or two posts a week. Just as long as you publish a new post at a regularly scheduled time is what matters. This is so important because your readers will know when to expect a new post, and they may come back to your blog on their own to look for it. It’s much preferable to publish just one post a week versus three one week, one the next week, four after that, zero after that, and so on. If there’s one trait that all successful bloggers share, it’s discipline. In other words, they schedule each of their days ahead of time and then they force themselves to adhere strictly to that schedule. If you’re traveling, a lot of your time is going to be spent in airports and planes, in public transportation, eating at new restaurants, exploring new cities, and having fun on new activities and adventures. This means that your time is very limited, and on top of that, you’re going to feel tired from all those traveling adventures and excursions. When you get back to the hotel room, you’re more likely to want to crash in the hotel room rather than write a new post. Through all of this, how are you supposed to actually get work on your blog done? How are you supposed to write and edit posts, update your social media, create and edit videos, respond to user comments, and run your email marketing campaigns? The answer is simple: schedule your days ahead of time. You can set some days entirely for work or entirely for having fun, or you can decide to work in the mornings and have fun in the afternoons, and so on. Who says you have to only write a post before you publish it? Why not take an entire day to pump out multiple posts (while ensuring that each of them is quality, of course) and then publish those posts over the upcoming days and weeks? This is what will keep you ahead of the game and it’s what I do often. It really helps keep your stress levels down because if you’re coming up on a deadline, you won’t be in a rush to type out a new post. Just take a day or two of the week to really focus on writing and editing posts. Then, when a deadline to post a new article comes up, you won’t have to stress out about getting it done because you’ll already have multiple completed posts to choose from. Believe me when I say that this is easily one of the most overlooked tips there is for anyone who works from the internet. Yes, you can get access to Wi-Fi from pretty much anywhere these days, from airports to hotel rooms to restaurants to libraries to coffee shops. But public Wi-Fi hotspots are not always speedy or reliable, and more importantly, they’re not always secure either. 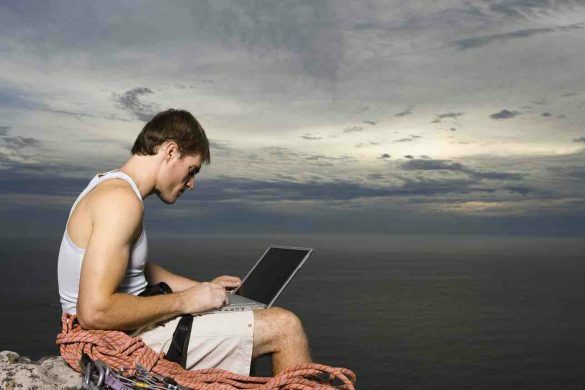 The fastest and safest option is just to use your own portable Wi-Fi router that you bring with you everywhere. If traveling really gets hectic for you and you begin to fall behind on getting posts published, one of the best options at this point will be to turn to guest contributions. If someone reaches out to you asking to write a guest post, what do you have to lose by letting them send you a post for approval? Furthermore, what if you yourself were to reach out to fellow bloggers to see if they’d like to publish a guest post on your blog as well? At the very least, you can link to each other’s blogs to help drive traffic between them. 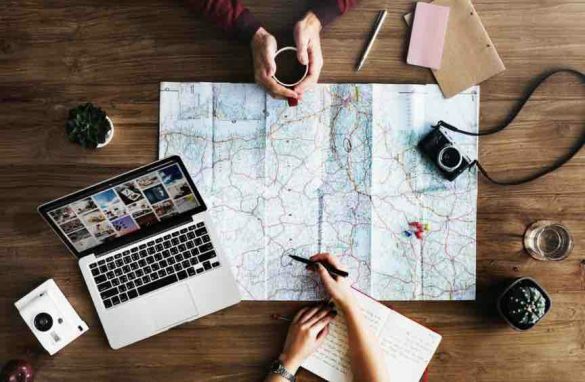 Following these tips and strategies will help you stay in control of the process of running and maintaining your blog even while you are traveling at a fast pace around the world. This post was written by Sam Bocetta. He is a freelance writer and journalist, with emphases on the outdoors, traveling, politics, technological trends, cybersecurity, and cryptocurrencies. Find him on LinkedIn.